NMO Focus – MyPOPI: How it all started? These are just some of the questions patients and families have when they are informed that themselves or their loved ones are diagnosed with a primary immune deficiency (PID). Being diagnosed with an immune deficiency disorder changes a patient’s whole life in the blink of an eye and leaves both the patient and the family members with a lot of questions. So those affected began searching for some sort of local support group or website on where to learn more about these diseases that were plaguing their lives. Looking for help is a major feat in itself for most patients in Malaysia as many were either misdiagnosed or recommended the wrong treatment. 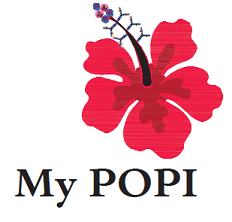 This gave rise to the need for a PID patient support group in Malaysia and this is the story of MyPOPI. MyPOPI’s humble journey started on October 27, 2013, when 4 families affected by PID attended the first Malaysia PID patients meeting and workshop, a collaboration of the Malaysian Society of Allergy and Immunology (MSAI) and IPOPI, during the 6th NACLIS (National Clinical Immunology Symposium) International Conference in Kuala Lumpur. With zero experience and knowledge about starting and running a patient group, an interim committee was formed in January 2014 to work towards setting up MyPOPI as a non-profit organisation in Malaysia. By February, MyPOPI became an associate member of IPOPI and was successfully registered as a patient society in Malaysia in August 2014, obtaining full membership of IPOPI later in the same year. All these achievements were only made possible with the endless support of MSAI, MyPOPI’s medical advisory panel and IPOPI. The mission of MyPOPI is to support and represent people affected by PIDs in Malaysia, by working with healthcare professionals and other relevant organisations and stakeholders to improve their care and quality of life. The aim is to help ensure that those affected by a PID have the knowledge required to manage their condition effectively and to ensure that their health needs are understood and addressed by policymakers and healthcare professionals. 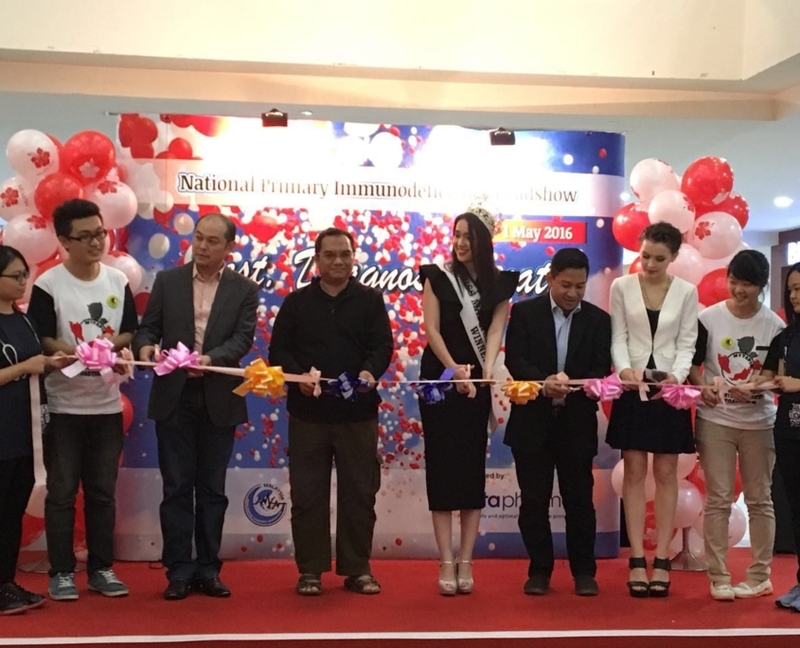 The formation of MyPOPI interim committee was timely for the planning of World Primary Immunodeficiency Week 2014 (WPIW) celebration in Malaysia, the first ever for MyPOPI. We wasted no time and embarked on our first media interviews in conjunction with WPIW 2014 even before MyPOPI was officially registered as a society. With the great support and collaboration with MSAI, MyPOPI kicked off its first WPIW celebration in 2014 with a series of media interactions which aimed at improving awareness of PIDs in Malaysia. 4 impactful media outreach events were successfully conducted with the aim to create greater awareness for PID among Malaysians and to bring to the attention of medical practitioners and policymakers to the fact that PID is no longer a rare disease. This included 2 live TV interviews, 3 live radio interviews and a 4-page spread on PID and MyPOPI in Malaysia’s leading daily newspaper (with 3.3 million readers). The media interviews and coverage in 2014 were the start of many interviews for MyPOPI in all leading newspapers and health magazines in the subsequent years, including a live TV interview on Malaysia Hari Ini in 2018. Malaysia Hari Ini is a renowned morning talk show on TV3, Malaysia’s leading national TV station. Three PID families reached out to MyPOPI after watching the talk show while one reader who read the article in The Star is now a volunteer of MyPOPI. In 2015, MyPOPI organised its first public roadshow at a shopping mall in conjunction with WPIW 2015. In partnership with the AMSA-Malaysia (Asian Medical Students Association – Malaysia) and supported by IPOPI and industry funding, the roadshow helped to draw the general public to MyPOPI’s booth and to learn more about PID, patients’ stories and our mission. In the same year, AMSA mobilized medical students from 5 universities to participate in a national walkabout to spread the awareness of PID amongst the general public. The medical students distributed flyers and provided information about PIDs and MyPOPI to the general public. 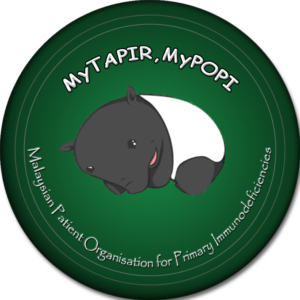 2015 was also the year we launched our official mascot “MyTapir”. Tapirs are either endangered or threatened animals that, like PID patients, require proper care. They are mammals and are often mistaken or confused for hippos and anteaters; similarly, PID often goes untreated because it is mistaken for ordinary infections. Tapirs are actually in the odd-toed hooved animal family, as are the horses and rhinos. They inhabit jungle and forest regions of South Eastern Asia, including Malaysia, and are truly unique and local animals who represent well the PID community in Malaysia. In 2016, MyPOPI and AMSA spearheaded the first Charity Fun Walk for PID in Malaysia, attracting more than 350 participants. Lending support to PID patients and to MyPOPI was Miss World Malaysia 2015, Brynn Lovett, who officiated and graced the event. “When I read the request from MyPOPI and AMSA inviting me to support Primary Immunodeficiency Diseases, I had no idea what it was and did some research online. I asked my family and friends about it and none of them were aware of Primary Immunodeficiency Diseases. The low awareness level and the devastating effect on patients due to delayed or missed diagnosis have compelled me to be here to help create greater awareness for Primary Immunodeficiency Diseases,” said Lovett. Brynn Lovett also supported MyPOPI’s first national roadshow held in Kota Kinabalu, Sabah, which is her home town. She graced the event as the guest of honour and one of the panel speakers discussing low awareness and understanding of PIDs in Malaysia, the devastating effects on patients and the importance of early diagnosis and correct treatment. To date, MyPOPI has travelled to Sabah, Johor and Kelantan to spread the awareness of PID. In 2017, MyPOPI achieved another important milestone when we established contact with the National Blood Bank and Hemophilia Society of Malaysia, inviting them to be our partners for WPIW2017. Subsequently, a working committee comprised of MyPOPI, National Blood Bank and Hemophilia Society of Malaysia, was formed to organise and plan World Health Day focusing on PID and haemophilia. Led by MyPOPI, the event was held at the National Blood Bank centre and officiated by YB Dato Dr Azman, Director of Medical Development Division, Ministry of Health. It was well received by the general public with blood donation drive, educational talks and activity booths. Successful World Health Day in 2017 opened the door to more collaborations with the National Blood Bank. 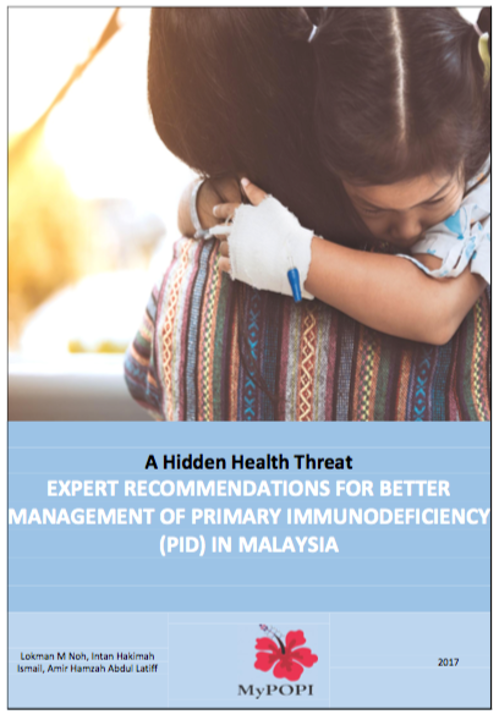 MyPOPI and MSAI jointly worked on an advocacy white paper detailing the hidden health threats and expert recommendations for better management of PID in Malaysia, with significant guidance and contribution of content from IPOPI. The white paper was completed within 6 months and presented to the Secretary-General of Minister of Health on 7 December 2017 in which paved way to a historic meeting with the Director General of Health Malaysia on 22 January 2018. The outcome of the meeting with the Director General of Health was positive with the Ministry of Health’s commitment to send 1-2 medical practitioners to be trained as immunologists within the Ministry of Health in 2019 Currently there aren’t any trained immunologists in the Ministry of Health. With MyPOPI’s membership growing it was time to organise the first MyPOPI Family Day was held in2016 and was attended by 70 members. The strategic planning workshop session helped members to envision a desired future for the PID community in Malaysia and to draft a strategic plan. MyPOPI has extended its wings beyond the national boundaries by contributing to regional development. We are grateful for the opportunities given to share MyPOPI’s humble journey with patients and families in the Philippines, Indonesia and Taiwan, helping with their efforts towards similar objectives as MyPOPI. In 2018, MyPOPI had the honour of co-hosting the South East Asia Media Training and Advocacy Workshop in Kuala Lumpur in conjunction with the National Clinical Immunology Symposium, organised by IPOPI in collaboration with MSAI and MyPOPI. MyPOPI’s success is not the work of an individual organisation. It requires collaboration and team work with various stakeholders who share the same vision. From patients, medical societies, patient organisations such as MyPOPI, IPOPI and Hemophilia Society of Malaysia, policy makers to industry players, every stakeholder has an important role to play in making it happen – all with the patients in mind! MyPOPI is honored to be part of IPOPI as a national member organisation, with the opportunity to reach out to PID patients in Malaysia and beyond. MyPOPI is still very young but we are doing very well! Despite our achievements, this is no time to rest on our laurels. There is still a lot of work which needs to be done to ensure equal and better access of treatments for PI patients in Malaysia, helping them to have a better quality of life and reach their goals and dream despite living with PID.